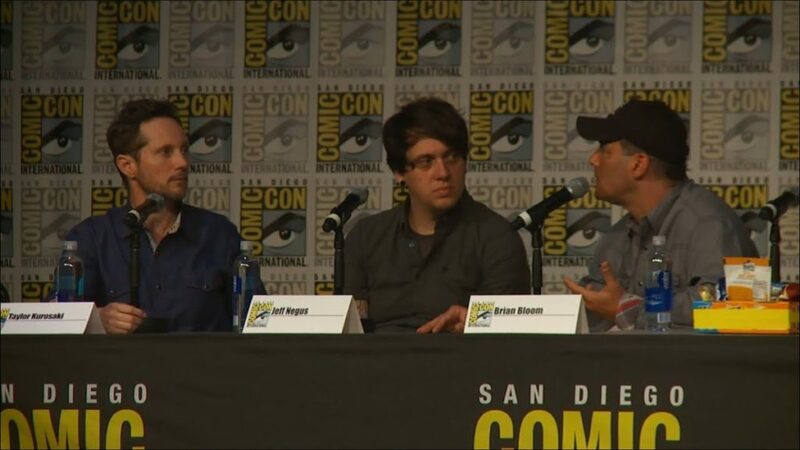 Barely anyone at this year’s Comic-Con has put their entire panel online, at least not officially. Let’s all be grateful to Activision for immediately uploading video of the entire Call of Duty: Infinite Warfare panel to Youtube. It’s a little less than an hour in total, and can be seen here…. Today you will see: interviews and a Q&A session with the Infinity Ward developers, never-before seen footage from the campaign, an interview with actor Kit Harington (Admiral Salen Kotch), the first look at the Terminal Bonus Map, and more! Greg Miller serves as moderator. Call of Duty: Infinite Warfare will be released November 4 for Playstation 4, XBox One and PC. The special edition will include an HD remaster of Call of Duty 4: Modern Warfare. Award-winning studio Infinity Ward breaks new ground in storytelling, by exploring the weight of leadership and the responsibilities that come with it in an emotional, character-driven narrative. Players are thrust into wartime leadership as Captain Reyes, a Tier 1 Special Operations soldier, who takes the helm of the Retribution, one of Earth’s last remaining warships. In a time of unthinkable hardships, Reyes must lead the remnants of coalition forces against a relentless enemy in a war that stretches to new terrains across the vast expanse of our solar system. Infinite Warfare introduces new weaponry, new player abilities and stunning new settings to the Call of Duty® franchise. In addition to a riveting single player campaign, Call of Duty: Infinite Warfare will also deliver a robust multiplayer mode, and a unique cooperative zombies experience. More details will be released at the upcoming Call of Duty fan celebration, Call of Duty® XP, September 2 – 4.